This award was given by the U.S. Local Business Association on July 15th 2008. The USBLA award program recognizes leading local businesses throughout the United States each year. The USLBA recognizes local companies that are achieving marketing success in the business category and also enhance the positive image of small business through service to their community and their customers. 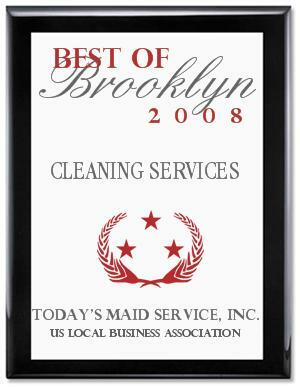 Today's Maid Service is very proud to be this year's recipient of this award.